Va'Kel Th'Shon was born in the city of Lor'Vela in the year 2351. Kel was an only child and very much aware of the ongoing population crisis that Andor was facing and took his responsibility to produce children very seriously. Despite this Kel still left Andor in 2368 to enter Starfleet Academy to be an engineer his life long dream. During the break between his junior and senior year he returned home and stayed for over a year to reunite with his bondmates and start a family. He also returned home after graduating the Academy and when he left he and his bondmates were expecting their second child when he took his assignment on the Lexington a Galaxy class ship so he was able to bring his bondmates and children with him. While on the Lexington they attempted for a third child but the window closed before they could conceive. 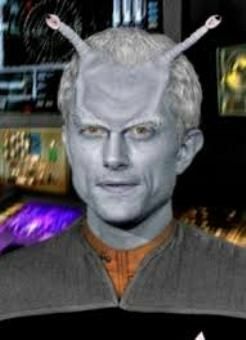 While on the Lexington a young Andorian named Martia joined the crew. Not only was she refusing to return home to start a family but she was gay and interested in human women. He was transferred to the Odyssey in 2379 which led to his bondmates and kids returning to Andor since families were not allowed on Odyssey class ships. The friction between Kel and Martia got to the point that Commander Scott had to go to Captain Juhl. Captin Juhl offered them the opportunity to become bondmates which Martia declined. Juhl did warn both officers that he would separate them if necessary if they were unable to work together as professionals.